We are the undisputed leaders in this niche market and have proven our commitment to cycling through various sponsorships of cycling events and cycling teams. Cyclesure Insurance Consultants will pay the premium on your behalf for accidental damage to your bicycle and accessories that occurs during the event. The cover is up to a maximum of R10,000.00. The product is underwritten by The Hollard Insurance Co. Ltd. 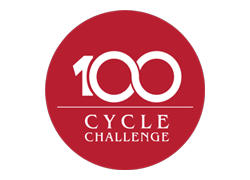 Contact us on 011 679 1559 if you need assistance or want to speak to a friendly member of the Cyclesure team. If you have more than one bicycle to insure, you may qualify for a discount. 1. Joy Rider - You enjoy cycling - the exercise, the socializing, the pure pleasure, you occasionally participate in races. when you participate in a race you train as often as you can, commuting to work might be your thing. How many bicycles do you want to insure ? Where was the bicycle #1 purchased? Are you aware that being the second owner the manufacturer’s warranty became null and void? Where was the bicycle #2 purchased? Where was the bicycle #3 purchase? Where was the bicycle #4 purchased? Have you made any cycle related claims (whether paid or not) or suffered any events that may have given rise to a claim, within the last three years? How would you like us to contact you with your quote? Please ensure your details are entered correctly to facilitate a speedy response. R 1 000.00. 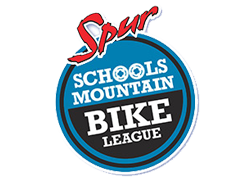 Any incident must be reported to a Cyclesure representative immediately after the event or Hollard will not accept the claim. 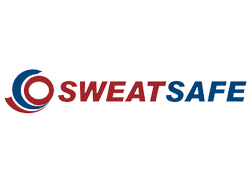 ER24 Sweat Safe is essential medical emergency protection for active sports people and outdoor enthusiasts. It is especially popular with cyclists, dueathlon and triathlon athletes. Medical cover needs to be immediately verifiable if you want rapid and hassle free access to private medical care, and proving proof of this cover can be a problem in a medical emergency, when minutes are precious. ER24 SweatSafe solves this problem by making you instantly identifiable in a medical emergency with the ER24 SweatSafe band. Further, you will be allocated a personal pin number printed on the band with the ER24 call centre number. This means that a person is assured of immediate action in the event of an accident. If you are unable to take part in your pre-booked Ironman event due to unforeseen circumstances, we will cover you for your financial loss. Will there be any exhibitions? Will there be any outdoor banners? Are there any medical assistance or first aid provided? Are permission obtained from the local authorities to host the event? Are there full or partial road closure? Are there any medical assistance or first aid provided?Are there traffic officers and or marshals on duty at intersections? Is Insured named as additional insured thereon? Do you provide any food or drinks to participants? Do you need spread of fire extension? Are making of fires prohibited? Is smoking by any rider, official or marshal prohibited? *Please note Cyclesure needs addition info if your bike model year is 2014 & older. Has any insurer ever cancelled, declined or refused to renew your insurance or imposed special terms? * Thank you for your application, one of our consultants will need to contact you in order to complete the application. Click on the button bellow, and complete the contact form. Have you had more than three cycle-related claims In the past three years? I authorise Cyclesure on behalf of The Hollard Insurance Company Limited, to draw on my account at the under mentioned institution in any manner agreed on between Cyclesure and such institution, the amount of the premium payable, and request the aforesaid institution to debit my account with all debits drawn against it by Cyclesure. All such withdrawals from my bank account by Cyclesure shall be treated as though they had been signed by me personally. I consent to the Cyclesure Policy Benefit Fee as indicated on the quotation and policy schedule, already included in the total monthly premium to be deducted from my account. The fee will be charged based on configuration of multiple products which we have compounded into a single policy to save on debit order charges. Assistance with determining accurate second hand values to insure bicycles on a pre-agreed value. In order to be covered for theft the bicycle must be locked onto an immovable object when not in use. In order to be covered for theft from a vehicle there must be clear signs of forced entry. In order to be covered for theft from where you are residing there must be clear signs of forced entry. In order to be covered for theft or damage in transit the bicycle must be locked to the bike caddy and the caddy must be bolted or locked onto the vehicle. International cover to commence 3 months after inception date.